Now that Spring is here I’m starting to get the touring bug. Been holed up at the All Hands House rehearsing new material with The Rain Band as of late, and think we’re ready to show you some bright new things. Tomorrow I’ll be heading north for a show in the beautiful town of Hudson, NY. 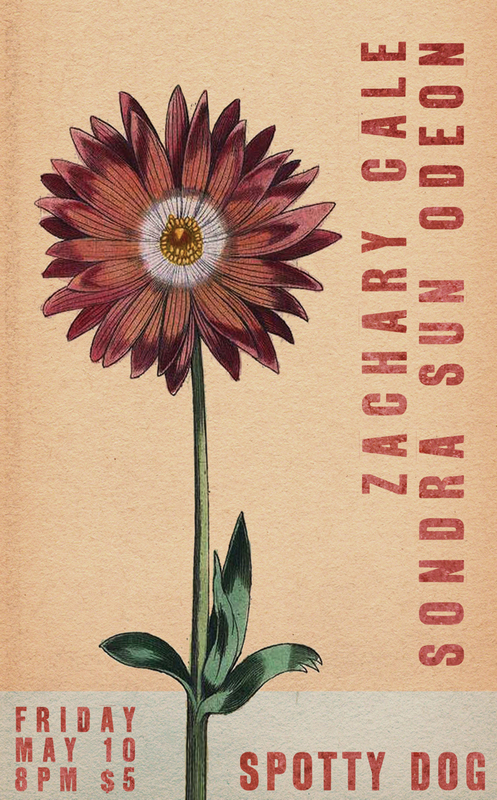 Sharing the bill with the amazing Sondra Sun-Odeon at The Spotty Dog. Sondra just released her debut record Aetherea late last year. Do yourself a favor and check it out, it’s a stunning collection of songs! I’ll be debuting the trio format which includes Ethan Schmid and James Preston from The Rain Band on drums and bass. Got more shows coming up in the coming months. Hope to see you out there! ⟵Mercury Lounge show supporting William Tyler!